You might be familiar with the Oaks Theater because they have been showing horror films this halloween season. Well the Oaks theater is back with even movie entertainment – the Grease Sing-A-Long. For a certain segment of the movie viewing population – I could see how this could also be scarier than a horror film – but I am betting that there are some Grease fans in Pittsburgh. The Oaks Theater – which is located in Oakmont – is bringing the Grease sing-a-long to Pittsburgh in a big way. 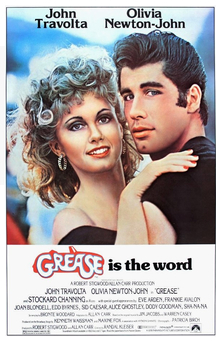 A newly restored print brings the highest-grossing musical of all time, GREASE (1978), to the big screen as a sing-a-long. Join Danny and Sandy with your own crew of T-Birds and Pink Ladies for a carnival ride back to those amazing summer nights! Come to our Friday or Saturday 7:30 performances dressed as your favorite character and be entered into a drawing to win some nifty Grease-themed prizes. And remember, this is a sing-a-long, so audience participation is always encouraged. Bring friends, have fun and sing your heart out! Purchase tickets for select shows online here.